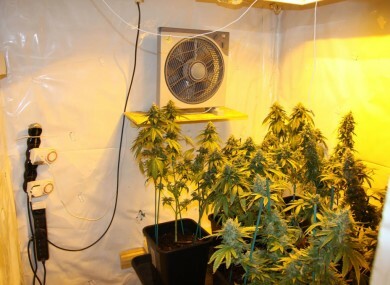 TRAFFICKING VICTIMS FORCED to work in cannabis growhouses are sent to prison more often according to Migrant Rights Centre Ireland. The MRCI are making the case on the UN’s anti-trafficking day that 36 people of Asian origin were placed in custody last year alone in connection with cannabis cultivation. In a two-year period alone between 2011 and 2013 they argue that 14 Vietnamese nationals and 11 Chinese nationals were convicted for cannabis cultivation, this is compared to 18 Irish nationals in the same period. There were eight people convicted from elsewhere in the EU meaning that the total number of convictions for cannabis cultivation was 51. “We have shown that people are being trafficked here and forced to work in cannabis growhouses,” argues MRCI’s Gráinne O’Toole. They should be identified and protected; instead, they are being arrested, tried and convicted of drug offenses. Ireland is not just failing to protect trafficking victims; it is actively harming them through incarceration for crimes they were forced to commit. Furthermore, MRCI research of imprisonment statistics suggest that Asian people convicted of cannabis cultivation are more likely to go to jail. The MRCI say that, of the 14 Vietnamese nationals convicted, 13 were incarcerated. All 11 of the Chinese nationals were sent to jail compared to just 5 of the 18 Irish nationals. In 19 of these cases, Chinese and Vietnamese nationals made claims of exploitation or maltreatment including being forced to work for nothing and being unable to leave. “Only last week a potential victim of human trafficking was given a 7-year prison sentence. His case was not even investigated for trafficking, despite clear indicators of deception, coercion and exploitation,” says O’Toole. O’Toole adds that a new law was introduced in 2013 to protect trafficking victims forced to work but this has not been applied yet. Email “Trafficked Asian nationals forced into drug trade are getting tougher sentences than Irish - MRCI”. Feedback on “Trafficked Asian nationals forced into drug trade are getting tougher sentences than Irish - MRCI”.